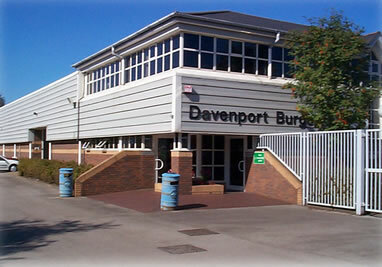 Davenport-Burgess is a trade only supplier of keys, key related accessories, key blanks, key cutting equipment, engraving equipment and accessories, locks, hardware, security devices and locksmith tools. Based in Willenhall in the West Midlands, the historical home of lock manufacturing, we are a family owned company that has links with the industry dating back to the 19th century. We distribute nationwide to the retail key cutting, hardware and locksmith trades, drawing from the comprehensive stock held in our warehouse. In addition we offer technical support from our head office and through personal contact by our nationwide team of technical sales managers. We supply anyone with trade interest in the industry, no matter how small the enterprise, and our expertise is always available to train and nurture new arrivals to the trade. Our main office and warehouse premises located in Willenhall.